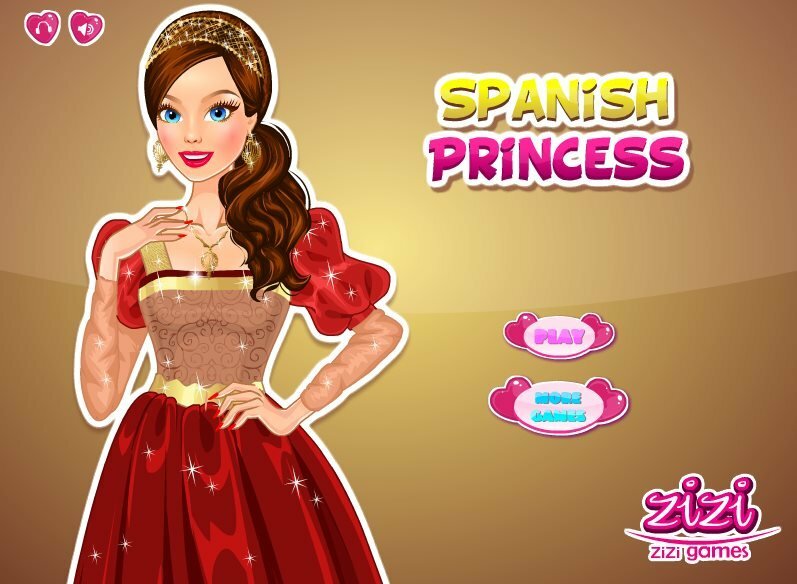 This Princess invites you into the Spanish Palace. She wants to show you how many beautiful dresses she has. But it's all for a reason. She invites you to score. There will be a lot of people, dancing and of course great Spanish music. But first, let's choose a dress and hairstyle for you and Princess. The office in this dress with the mouse. The mouse to choose dresses, hairstyles and jewelry, and then shift them to the Princess. You can change the background of the game. To do this, click on the button BG. Well, if the dress is ready, click on the button SHOW and you will see the result of his choice for Princess. Played: 35676. Added: 18-10-2015, 01:21. A new dress for princess from Spain.